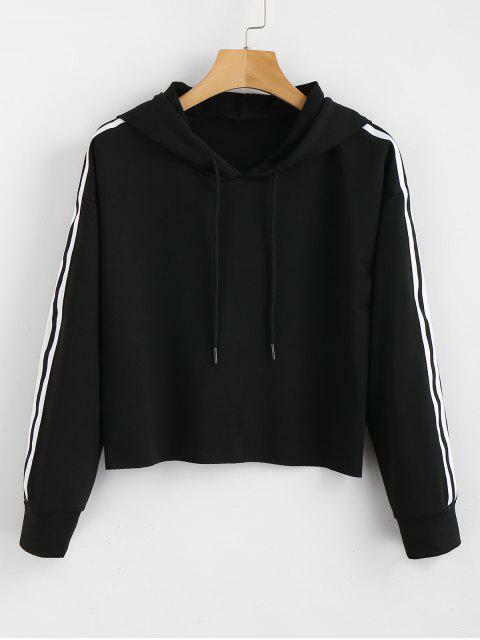 [34% OFF] 2019 Striped Crop Hoodie In BLACK | ZAFUL ..
fits very well, and is super cute. sleeves are a bit short but i wear bracelets, and watches, and scrunchies, so it doesnt bother me. 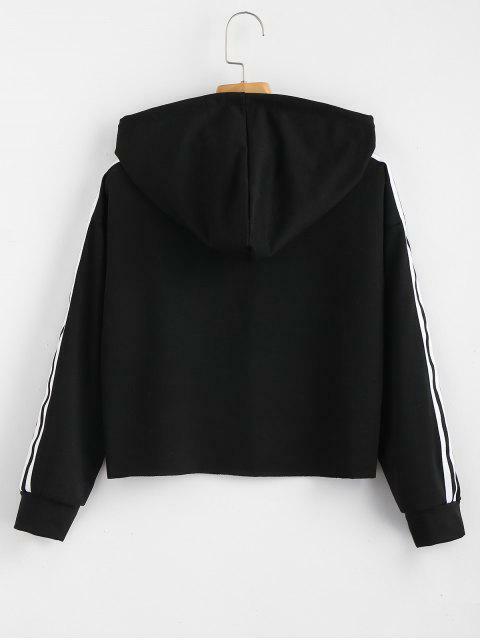 not too cropped, but would definitely look good with high waisted pants. My leggings in the picture are high waisted. Love this, super cute. But It will not keep you warm, super thin material. I order Xl cause I wanted it baggy and less cropped... I'm about 5ft and it's still a bit cropped as you can see in my pictures. Giving 4 stars because mine did come with red staining on the white stripe. Super cute and comfy almost exactly what I expected. 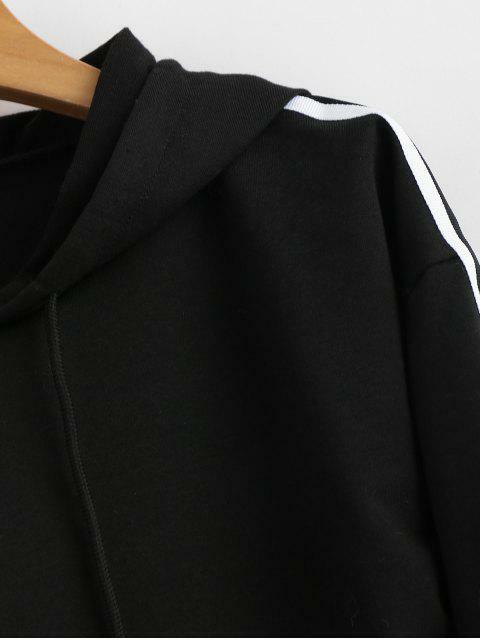 Casual hoodie featuring drawstring detailing, striped pattern at the sleeves with cropped length.